Manufacturer NISSAN MEXICANA, S.A. DE C.V.
No pictures found for plate number 7GFX782 in California, United States. click here to add a picture. No videos found for plate number 7GFX782 in California, United States. click here to add a video. No owners found for plate number 7GFX782 in California, United States. click here to add an owner. 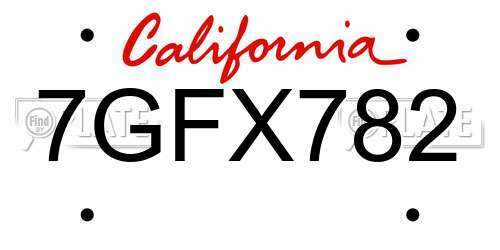 No related websites found for plate number 7GFX782 in California, United States. click here to add a related website. Nissan will notify owners, and dealers will modify the console trim panel, free of charge. The recall began on September 14, 2015. Owners may contact Nissan customer service at 1-800-647-7261. 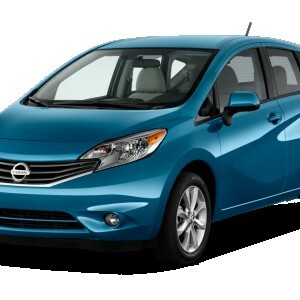 Nissan is recalling certain model year 2014 Versa Note vehicles manufactured April 23, 2013, through July 5, 2013. The rear seat latch bolts may have been manufactured incorrectly, reducing their strength. If the rear seat latch bolts break, the rear seats may not perform as designed in a crash, increasing the risk of injury to back seat occupants. Nissan will notify owners, and dealers will replace the rear seat latch bolts, free of charge. The recall is expected to begin August 19, 2013. Owners may contact Nissan at 1-800-647-7261. Nissan is recalling certain model year 2014 Versa Note vehicles manufactured April 23, 2013, through July 3, 2013. The lower body sill bolts may be missing or incorrectly torqued. Missing lower body bolts may affect the vehicle's integrity in the event of a rear impact, increasing the risk of injury. Nissan will notify owners, and dealers will install and tighten to specification the lower body sill bolts, as needed, free of charge. The recall is expected to begin August 19, 2013. Owners may contact Nissan at 1-800-647-7261.